Nebraska State Capitol Elevator Modernization Project – Kingery Construction Co. 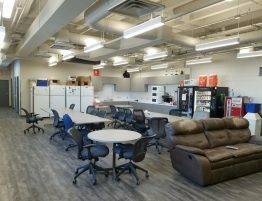 The Nebraska State Capitol Tower Elevator Modernization Project was an extremely interesting and important project for Kingery Construction Co. This elevator restoration project was the third since the completion of the building in 1932. 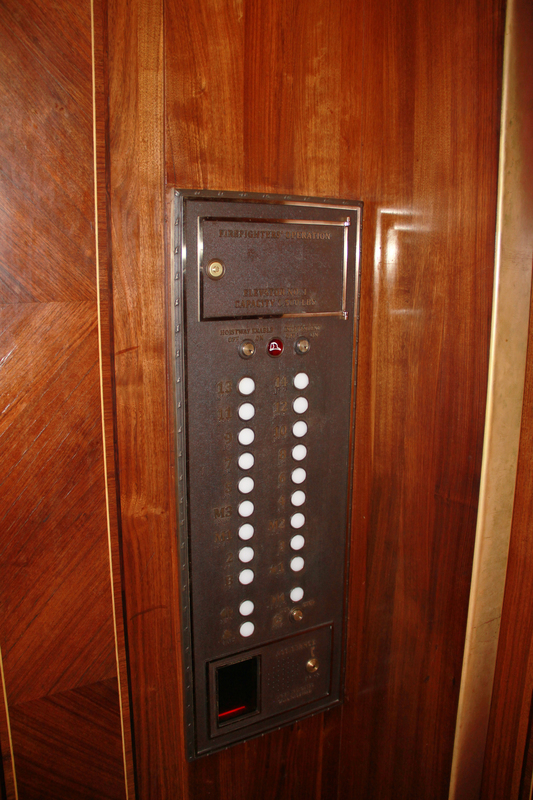 The first renovation taking place in the 1950’s, replaced the original elevator floor indicator dials with lighted number bars, requiring slots to be cut in the Indiana Limestone above the elevator doors. 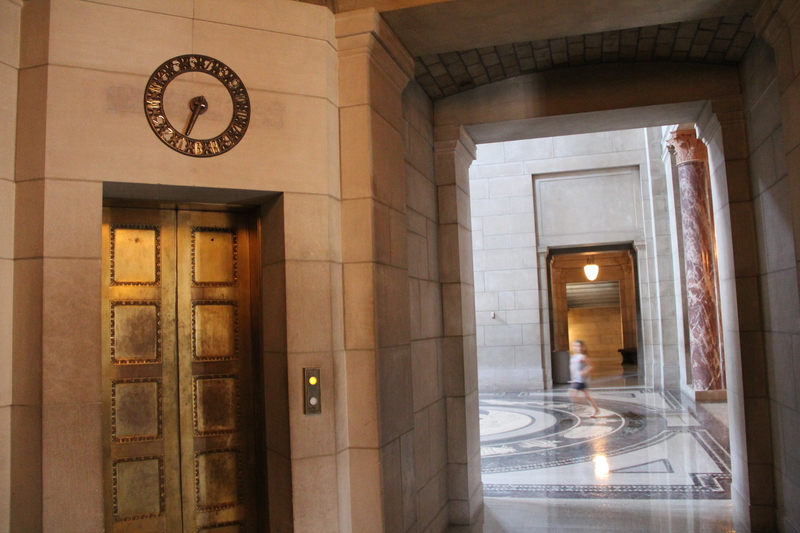 Luckily, two of the original elevator dials were saved and stored in the Nebraska Capitol collection. 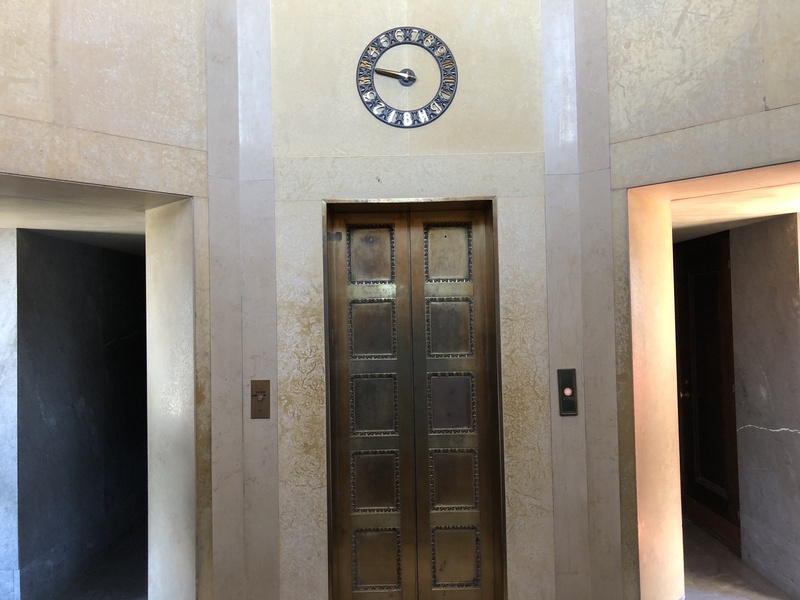 As part of this project and the ongoing restoration mission of the Office of the Capitol Commission, reproductions of the original dials were created and reinstalled above the elevators on each floor, once the limestone had been repaired. Also, within each cab, replicated bronze plaques, indicating which floor the elevator is on, were installed. 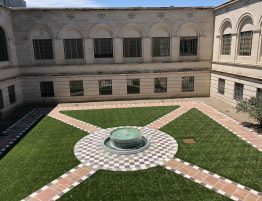 With these seemingly small details, visitors and staff have taken notice of how the historical accuracy of this restoration has brought the Nebraska State Capitol back to its glory days. 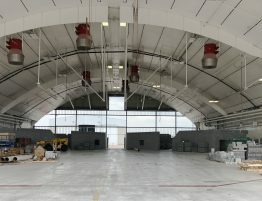 The remainder of the project, although behind the scenes, may have been most important. This included ensuring that state-of-the-art safety features were incorporated in the elevators used by countless visitors and staff. These features included the installation of new mechanical and electrical equipment in the hoist ways and new guides for the cabs, allowing trips to the observation deck to glide quickly and quietly, without frequent breakdowns, which had become customary. Ground level to the top now takes about 30 seconds. Previously moving a large group up to the top of the Capitol had taken 30 – 40 minutes and now can be complete in half that time. The addition of a security access system in the elevators provided convenience and improved monitoring of office access for political staffers. Environmental factors also played a big role in the restoration including the cleaning of the elevator shafts to improve air quality.